There have been several reports of Air Kraken over New Babbage in recent days. I have yet to view these creatures myself but have seen drawings and photographs. I decided to research the literature on this natural phenomena which was unknown to me before arriving in this time. 1. The author’s research has not been independently confirmed. There is a kangaroo in my yard in Ebonshire. He will not leave. Been here for months. Strangest thing, a kangaroo in these parts! I have named him Fred. “Is he playful?” a friend asks. He doesn’t do much of anything. Looks about, keeps an eye on things I guess. Stands ready to hop about but he never goes far. I think he must have stowed away on my ship when I came up on a trip from Austral last fall. Only explanation that makes sense. On the other hand, in Winterfell one can never be sure of anything. My brother Levon is in for a visit. He could always talk me into just about anything. I don’t mean to compare him to the carnival barker nor is he the wheeler-dealer type. He is just the nicest man and so damn sincere and so smart when it comes to people and how to “connect” with them that you can not doubt him, you can not argue with him, you can not ignore him, you have no choice but to agree with everything he says. The man has good ideas, that’s all there is to it! So I told him about my idea for the store. I told him knowing full well he would say something that would change my plan completely. He did. Of course. It was going to be Whitfield’s Mens Shoppe. Now it will be Whitfield Bros. General Stores. Well, it makes sense. If you heard Levon tell it you would be saying the same thing, believe me. I’ll just sit here, smoke my cigar and count the money. A strong hurricane is forecast for New Toulouse this weekend. The storm is expected to make landfall sometime on Friday. I will be checking on my new house in Jardin as often as I can to make sure she holds. If you do not have reason to travel to New Toulouse this weekend, I urge you to stay away for your own safety. However, if you happen to be an explorer or simply the curious type, I suppose you might stop by for a quick peek. Caledon has secretly built an air base on the Mainland. quiet on the war front, this reporter has discovered a clandestine project that will play a key role in the coming hostilities. I am standing on the landing strip of a secret airbase on the coast of the Mainland continent known as (CENSORED). The base appears to be complete and operational. There were no airships on the base when I visited and I cannot say whether it has been used thus far, whether for scouting flights or training. It could be that the base will sit here quietly until military action is required. cause the enemy to slip into a period of complacency just before Caledon strikes with the element of surprise as an added weapon in its arsenal. Your correspondent will continue to monitor the situation. Writing from Laudanum at the end of a foggy day in Winterfell. Most days seem that way lately. The phrase ‘a twilight mist’ comes to mind. That might make a nice title for a future article. Speaking of writing, after forming the aforementioned group, Danko Whitfield’s Readers on Sunday, Monday brought on another group, the Society of Steamland Bloggers. The mission of this group will be to allow the keepers of journals in the Steamlands to share ideas, ask questions, announce new blogs or new posts. Miss Abigail Raymaker is working with me on this group and has established a blog for the group itself. Once we have things set up and ready to serve members we will make a formal announcement to the public. This should come within the next week or two. In the meantime, interested bloggers can go ahead and join the group. If you write about the Steamlands or if you blog about something else but live in the Steamlands, this is the group for you! Even inactive bloggers should join as you may be able to use your past experience to help others. This is my personal invitation to you to join us. Thanks. I spent a day in New Toulouse last week with a full agenda. I started by checking on my house in Jardin and then headed up to Algiers for a pint at Le Vieux Canal Jazz Club, which as all my friends know is one of my favorite spots. I had a nice conversation with the head bartender, Jean Lafitte about his privateer days. The man can talk, I must say! Then it was off to Miz Gabi’s tea in Bourbon for the latest community news and discussion. Nice to see everyone as always. Following the meeting I conferred with Addison Greymyst, the New Toulouse Ambassador to Winterfell, and gave him a tour of Winterfell’s embassy in Bourbon. Saturday I was at Lady Twilight’s town hall meeting in Winterfell Anodyne. Because of scheduling conflicts I had not been to one of these monthly sessions in some time. It was informative and fun as usual. The fun increased when Miss Serra broke out the rum. I propose we have rum at all future meetings! A last minute schedule change Tuesday allowed me to attend Ambassador Greymyst’s tea at the New Toulouse embassy in Winterfell Absinthe. I caught the early show. It was well attended with quite a collection of notable Steamlanders on hand, including heads of state, Miss Serra of Winterfell and Miz Gabi of New Toulouse. The conversation was quite lively and most fun. There was something ‘different’ about Miss Eili McCullough. A new hair style perhaps? I was not alone in noticing. Miss Francesca Alva opined that it must be Miss Eili’s new hat. Yes, I think that was it. By the way, I have now confirmed a report I received earlier that Amb. Greymyst’s evening affair in Absinthe was interrupted by a Zombie attack! My, my, my. Zombies in Winterfell! Is anywhere safe? While I was away tending to business in the first world, quite a bit of correspondence arrived here. I have been sifting through the mail as quickly as I can. The other day I discovered a letter that had been sent by my brother, Levon. He writes that he has received a satchel from Uncle Manuel containing letters from our late parents. Levon did not say what was in these letters but did say he will journey to Winterfell to deliver the satchel to me. I have not seen my brother in some time. He did visit me in Cape Wrath once shortly after I bought the property. It will be good to see Levon again. As children and as young men just starting out, we were very close. The years and our travels intervened but whenever we do reunite we pick right up again and I quite enjoy our time together. He is a good man and has a fine sense of humor. I so look forward to his visit. When he came to Wrath I was new to Winterfell and Caledon. Now I will be able to give him the grand tour and introduce him to some of my friends. One last thought about writing… There is so much involved in writing one simple article. Finding the inspiration, putting it on paper, organizing it, rewriting it, tweaking it, tweaking it some more and some more and… I said to my editor just the other day – and she agreed with this by the way – “Maybe the great writers do ‘finish’ a piece, maybe not. I know I never do. I just ‘surrender’ at some point.” Like here. No, I have not yet told you all there is to say about the closing of the Steampunk Explorer offices. Not quite. It was a bit emotional that last day. I took down the displays in the Tamrannoch office and then left when the workers arrived to raze the building. 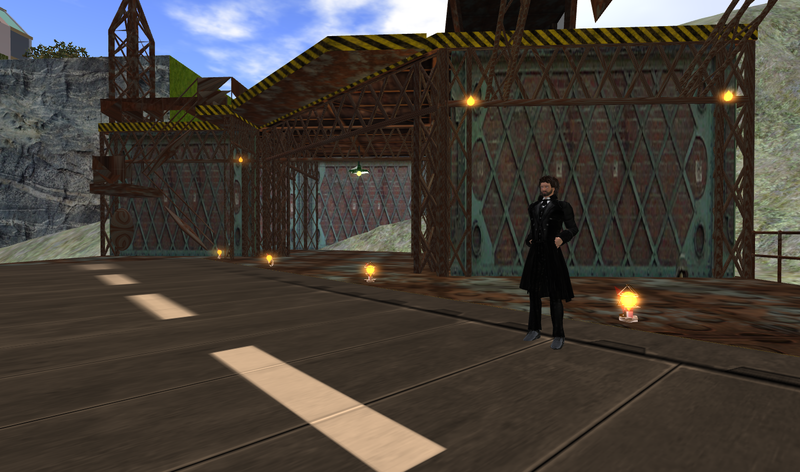 I travelled to Babbage to see if I could lend Mr. Steampunk a hand in closing up the Academy of Industry office. When I arrived the ground floor was empty but I heard him upstairs as he packed up his personal office. “May I come up Mr. Steampunk?” I hollered. “Of course, Mr. Chairman,” came the reply. As I entered the room he was sitting on the floor with files, drawings and maps all around him, placing each in several boxes by his side. “Just about finished, sir?” I asked, “Or can I be of help?” Mr. Steampunk looked up and tried to smile. “Would you like the desk, sir?” “Oh no, sir,” I said, “I can’t take your desk.” “But I know how you like it sir and I really have no place to put it now. Please take it or I’ll be stopping at the second hand shop to leave it behind,” he said. “Well, if you insist sir. Thank you very much. I’ll send for the delivery men. They can haul it to New Toulouse for me. I can use it at the new Jardin house. You can visit it,” I said as a joke. “I will sir,” he laughed. He showed me some of the papers he was packing away and gave me a couple of his old reports as keepsakes. “We had good times in these offices sir,” he said. “The good times continue,” I said, “the group’s work is not over. The only difference is that now we’ll have our meeting at my pubs!” “That doesn’t sound half-bad sir,” he chuckled. “Come on. Let’s finish up and go for a pint,” I said. We carried the boxes that were headed for the dump out the back door and stacked them up. Then passed through the empty ground floor one last time. As we walked out the front door, Boston turned and looked up at the windows where his office was. I think he was holding back a tear. I walked ahead to give him a moment. “Are they still serving that stew at The Evergreen?” he asked as he caught up with me. “We are sir.” “Let’s go!” he said. We left Babbage by train bound for Caledon. We rode silently for a while. But then we began to reminisce about the early days of Steampunk Explorer and we recalled a number of funny stories and close calls and had quite a few laughs as the train sped along. Once in Caledon we switched to the national line and embarked for SouthEnd. There I was to meet my cousin, Robertson Whitfield, at my Evergreen Pub. I was glad Boston was in a good mood as I did not want Robbie to walk into a virtual wake after his long journey. When we got there we ordered two bowls of beef stew and two pints of ale and sat at the bar and wolfed that stew down. Packing up and travelling, all in one day, had built quite a hunger. Then another round of beer was ordered and the cigars were lit. “Boston, I can’t thank you enough for all you’ve done for me with this group,” I started. “Nonsense sir,” he said and then blew a ring of smoke. “I mean it sir. I was a novice and you gave me an opportunity,” I said. He puffed on his cigar and looked out the window. “What a damned fool I was,” he said, then he turned sharply and looked right at me and burst into laughter. I started laughing so hard I had to stand up. “More beers barkeep!” he ordered. When the beer came Boston turned to me and raised his glass, “To the future of the new Steampunk Explorer group!” We drank. Then he spoke quietly, “I can’t thank you enough either, Mr. Chairman, for all you have done.” “Sir, you are going to have to start calling me Danko,” I said. “Nonsense!” he shouted again in a jovial fashion. “But you mustn’t start until after my cousin has left. I want him to be impressed!” I added. And the laughter – and drinking – continued. A short time later Boston was looking out the window as we talked. “Sir, I believe your cousin is here.” Robertson was looking through the window and he smiled and waved when he saw me. We both rose and I opened the door. “Robbie!” Welcome!” We shook hands, slapped backs, traded insults and then I introduced the two men to each other. I ordered Robbie some stew and a pint and Boston sat with us for awhile as we talked about Caledon, Babbage, Winterfell and women. Well, three men in a pub – what would you expect? We walked down to the Winterfell Embassy and Terminal in downtown Wrath where we boarded the ferry for the ride north. We got off at Laudanum and headed for The Emerald Inn. After about an hour I walked down the street to my main residence while Robbie stayed behind for a nightcap. I made up the guest room for him and then went to my room and quickly conked out. This day was the end of a chapter in my life and a memorable one at that. It will be used to send notices to members when I have published a new article or series of articles here and elsewhere. And you can wear the fun group tag, Steaming Along. My blog has become rather popular and I am quite flattered by this. I have so many readers now that sending them individual notes about a new piece has become impossible. Hence, the formation of the above group. There are, of course, other means to keep abreast of the latest writing on this site, for example you could ‘subscribe’ to this blog. Thank you for the kindness of your readership. 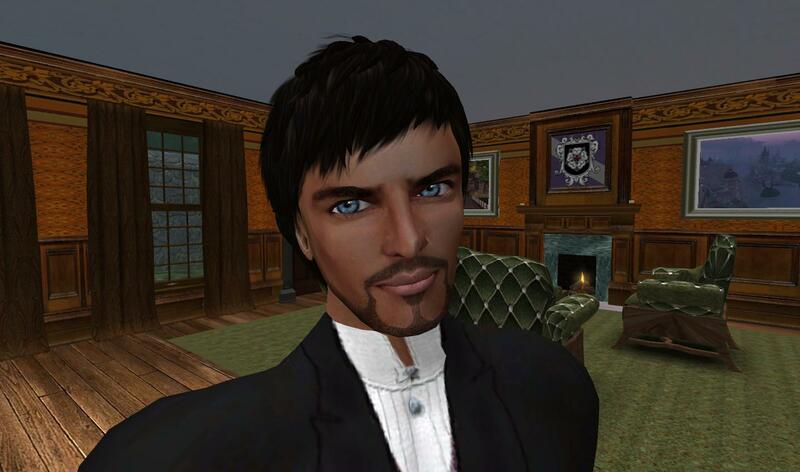 Editor’s Note: You can join Danko Whitfield’s Readers in Second Life, Kitely, InWorldz, OSgrid and Avination. Steampunk Explorer Closes Offices But Group Lives On! We have closed our last two Steampunk Explorer offices, in Babbage and Caledon. Okay, so no more bricks and mortar for SE, information by courier only now. I wrote here recently that we had pretty much decided a few months back to close all of our offices but we kept putting it off mostly because our Executive Director Boston Steampunk and me, as Chairman, just liked having them around. I said in that journal entry that once I had written about my procrastination over the matter, I would probably get around to the task. I guess I know me pretty well. might interest him in Tamrannoch. He went down there for a look and soon a deal was struck. This inspired me to sell off the Babbage property in Academy of Industry as well and that was accomplished a couple of hours later. Only one of us had extensive experience in the Steamlands. That was Boston Steampunk so he became the owner of the group. The group was not opened to the public at the time. I had met Mr. Steampunk a few months earlier when he walked into The Evergreen Pub in Pine Tree Square where I was Mayor. The Square was then located in the Deitide region on the Mainland. There was a steampunk store in the town and Mr. Steampunk had been shopping and then came in for a pint. I had visited Caledon a few times and Winterfell and New Babbage once each so we had a nice conversation. We stayed in touch and one day he came back into the pub while I was there. He offered to take me on a tour of some of the places he liked best and I took him up on it. It was fun and we ended up in a Caledon pub at the end of the day. By January of last year I had used the information Mr. Steampunk forwarded to me several times and met two of his other friends. When he invited me to be a founding member of his new group, I jumped at the chance. It seemed a nice diversion from the operation of my two Mainland towns and the building of a third. I had no idea where it would lead. Shortly after the group was up and running, the Steamlands Information Center in Caledon announced it was closing its doors. Our group members chatted about this and someone came up with the idea of Steampunk Explorer opening to the public and eventually having offices to fill the void. It seemed like a lot of work to me and there were costs to consider. I had no interest in it as I was too busy running my towns. Little did I know I would be the one who volunteered to do a good chunk of the work and come up with the cash. In March of last year I bought a place in Winterfell, thinking it was just a getaway spot. But, as I have chronicled here earlier, it quickly became my new home and I left the Mainland behind. By April I was hosting two offices on my land, one in Winterfell Laudanum and the other in Caledon Tamrannoch on a parcel I purchased specifically for the group. In recognition of this contribution I was named Chairman with Mr. Steampunk taking the title Executive Director. We made plans for offices throughout the Steamlands. Eventually we had six offices and were trying to find a spot in Steeltopia as well. We offered free information about – and guides to – the major Steamland nations and hoped to expand to cover others. (One person who should not go without mention here is Finn Steamer who took the lead on projects that Mr. Steampunk and I could not get to as we had our hands full.) Traffic was good, we received nice compliments and donations were coming in…not enough to defray my costs but enough to show we were doing something worthwhile. That was all that mattered to me. We had heard we had come to the attention of some heads of state and they liked what we were doing and saw the benefits to their nations. We were thrilled with it all. When one estate owner approached us and invited us to open an office in her nation, we knew we had arrived (but we couldn’t oblige as I was at my budget limit and only one other member had come forward to fund an office). It continued that way until early this year when we came to the conclusion that the offices had really served their purpose. They got the group name out there and built up the membership faster than we expected. But the work involved became overhelming and it had only started as a private group for a few friends. We never expected it to take off like it did. Mr. Steampunk and I began to discuss whether to close some or all of the offices and return to the days when information was delivered by group notice only. It was about this time that Mr. Steamer and another of the original members, Artemus Rembrandt, found they did not have the time to continue at the pace they had worked at. Mr. Steampunk and I could relate. That pretty much settled it. And you still get the cool group tag. Thank you for your recent letter. It was good to hear that things are going so well with the farm. Now that it all seems under control you can start making plans for retirement. Thank you for the book on home remedies. I do promise to get to it just as soon as I have a moment. Things in Winterfell are quiet, other than a military attack in the territory just north of here. Have no fear, I was not in any danger. Unfortunately I missed the whole thing and had to hear about it from my friends and colleagues after the fact. As you know, my commitments in the other world and my health troubles had left me little time to be as involved as I would like here but I have been busy catching up with my work. The Seneschelf is quite understanding and has cautioned me to ease my way back into things slowly. I was most tickled to hear that you are receiving such enjoyment from the wireless set I gave you on my last visit. I agree with your comment that it is quite rewarding to listen to music of a particular time period on a device that was made in that same period. Is it the music that has inspired your thoughts of travelling to New Toulouse? I would not be surprised by that considering how musical this family has always been. Yes, I still maintain a home there and have for a little over a year now. But just recently, I sold the home I have told you about and purchased another. The old one was right downtown, amid the hustle and bustle and I did like it quite a bit. It was an easy walk to the galleries, jazz clubs and bars. (I live such a tough life here! Not, like on the farm, eh?) But the property was a bit too large for my needs so I have relocated to the outskirts of town in Jardin parish on a smaller parcel. It is a quieter neighborhood with stately Victorian homes. I can hear you chuckling now. You know how I am about the Victorian style. I am chuckling too. A visit in autumn would be grand! It will likely take me that long to get the new house in order anyway. I have not had the chance to move in yet and it sits there, empty. Workmen have been hired to literally turn the house around as the builder put it facing the wrong way! I don’t care what century you are in, it is the same old story, you can never find good help. I hope to have the house reset in the next two weeks as the long-term weather forecast predicts a serious storm, possibly a hurricane, for mid-August or just after. I am sure you recall my letter about last year’s hurricane. I do wish not to go through that again but while I am tempted to stay here in Winterfell until the coast is clear, I think it best that I spend at least part of the storm in Jardin to keep watch on the house. I will send a quick note when the storm passes so you will know how I have made out.